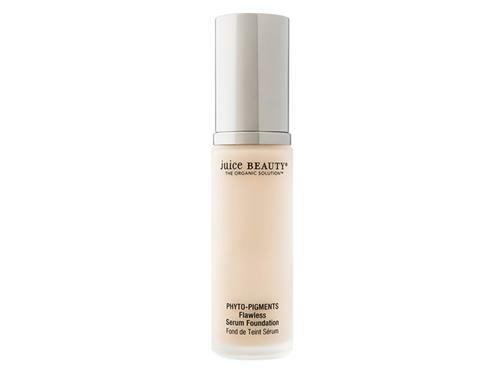 Perfect your complexion with the Juice Beauty PHYTO-PIGMENTS Flawless Serum Foundation. 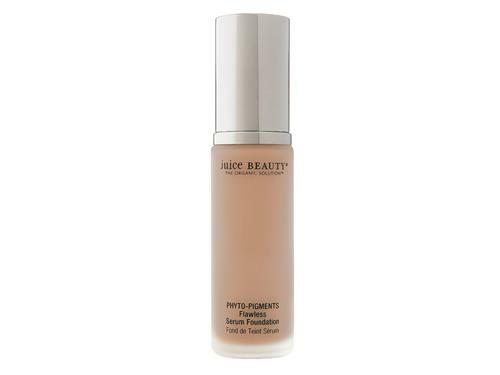 Create a flawless finish with this skin-perfecting foundation. The breathable, buildable and full-coverage formula keeps skin hydrated with coconut and protects from free radical damage with vitamins C and E. Juice Beauty's Age Defy Serum Technology with resveratrol-rich grapeseed and fruit stem cells diminishes the appearance of fine lines and wrinkles. The weightless texture stays on all day for comfortable wear that won't settle into fine lines. Tell us your thoughts about Juice Beauty PHYTO-PIGMENTS Flawless Serum Foundation and receive 50 rewards points! For ME, personally, I think it’s best to go with a light hand with this one. And also, if you’re suffering from dryer skin or maybe just a day where the skin is feeling dryer than usual, you may wanna pass on using it that day. I have found it works best with a slippery type primer underneath as to not cling to dryer areas if my face is dry that day. It’s definitely a serum-like foundation like it says, watery. 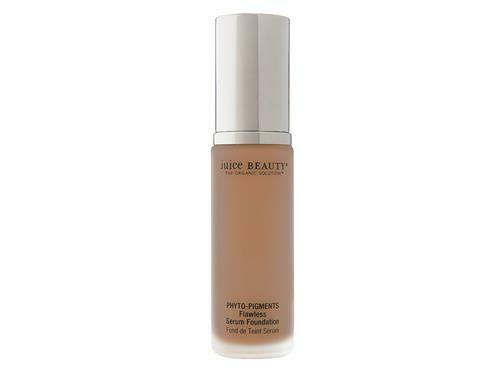 Love this foundation!! Clean ingredients!! Easy to apply with fingers. Color is a little too red; however, it blends in well when all makeup is applied.